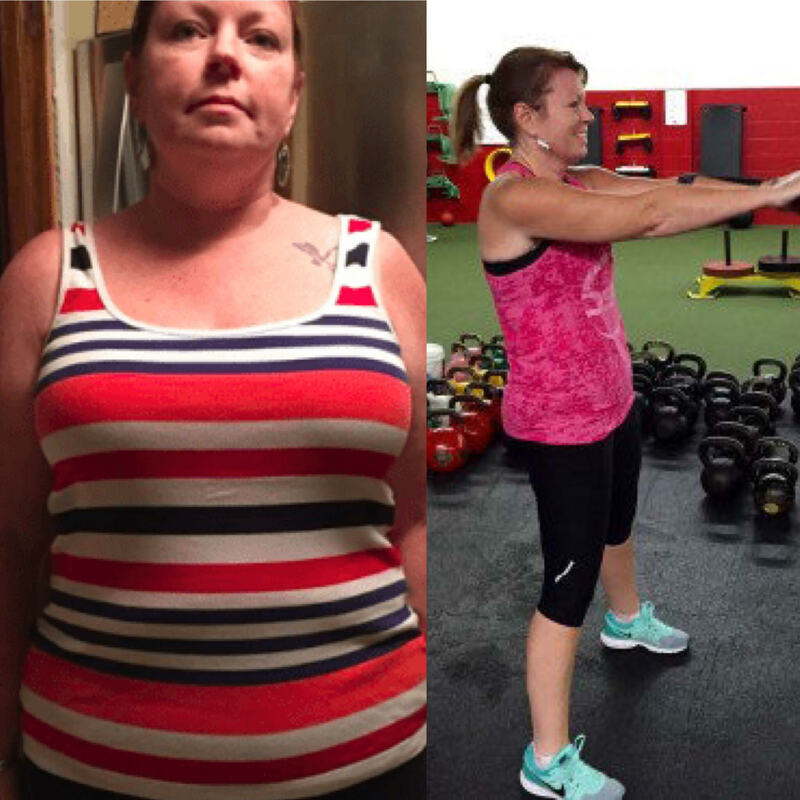 How I lost 51 pounds and 4 pant sizes! Before DSC, I joined almost every gym known to man. I would go for a week or two and quickly became bored -- mostly from a lack of knowledge. I would stick to the treadmill and elliptical because it was what I knew how to use. I have owned almost every piece of exercise equipment imaginable, yet rarely used them except to hang clothes on!! So going into DSC, I had absolutely no workout routine to speak of!! I had many fears about joining Dynamic. I was afraid of not being able to (fill in the blank), not being able to keep up with a class and being the slow, fat kid. Mostly, I was afraid my weight would get in the way of my workout. Also, I had just suffered a severe ankle sprain 3 months prior to joining and was concerned with how it would hold up and/or hold me back. The ankle was one area I definitely wanted to see improve. I had been in PT for 3 months and felt I had peaked and needed something more to help build it back up. Everything else ached, I had back pain, knee pain, hip pain, plantar fasciitis. I have a desire to become a grandmother so badly, but wanted to be the fun grandma that got down on the floor and played or ran around the playground!! I knew I needed to change my life to have the life I wanted. I no longer suffer from any of those aches and pains. I remember my first workout. I had butterflies the whole first drive to the gym and had I been alone, probably would have chickened out. Starting in the Women’s Group was the perfect fit, Renee was incredibly understanding of where I was in my fitness “routine” (cough, cough). The trainers gladly modified the workout to accommodate a still healing ankle, and all the other aches and pains. About 5 minutes in, completely out of breath, I remember thinking “What the hell did I get myself into? ?” but I kept telling myself… “I gave birth 3 times; I can get through this” and I did. I was sore the next day (and the day after that), but it was such a rewarding sore, the good kind of pain. The kind of pain that left me wanting more! After 10 months at Dynamic, I am down 51lbs and 4 pant sizes! I have more energy than I can ever remember having. I have come off of my high blood pressure medication and was told at my physical in June, I was in the best shape I have been in, in the past 20 years! I have found a confidence within myself I never knew I had, a determination that just won’t quit and new friends who push me to accomplish my goals. If you are thinking of joining DSC, don’t be afraid. You are not in this alone! Whatever your fitness level is, you will fit in. If you are looking for a fun, positive and motivating environment to achieve your personal goal, DSC is definitely the place!